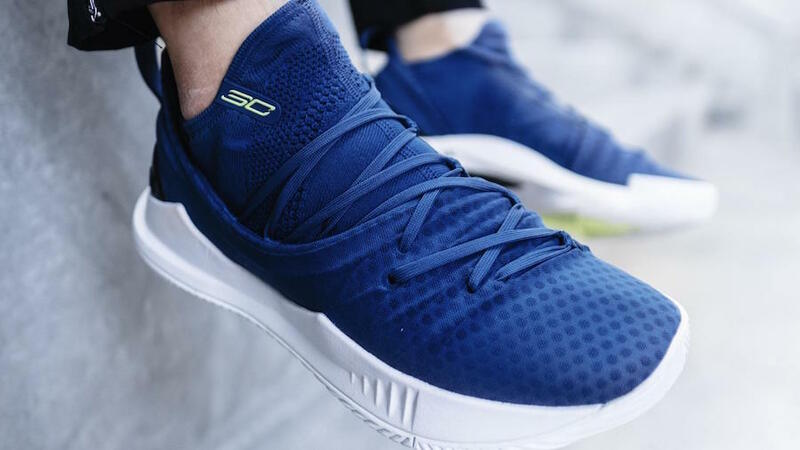 A colorway inspired by the team’s home and away uniforms, the Royal Blue of the home jersey dominates the upper of the newest Curry 5, with clean White adorning the entire midsole. Hyper Green quietly pops on the SC logo tongue, a subtle warning that Stephen is back for another season, championship glory behind him, ready to take over – all over again. 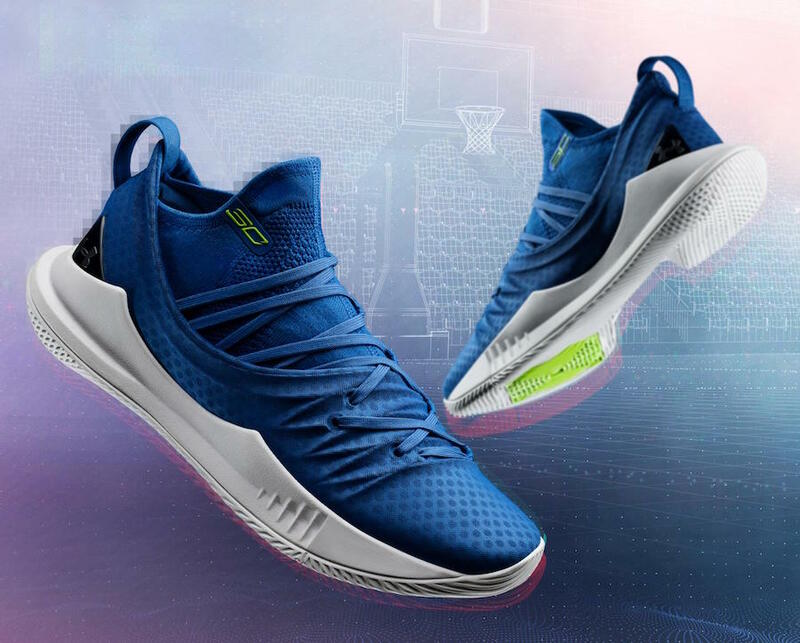 Look for this UA Curry 5 to release on October 12th at select UA retailers and UA.com. The retail price tag is set at $130 USD.